Grilled fish is so easy to prepare if you get your marinade right. I wanted to recreate the type of fish I ate in Warri, at those local corner joints, which is why pepper soup spice is in the list of ingredients. It gives the fish an extra something to make it more delicious! 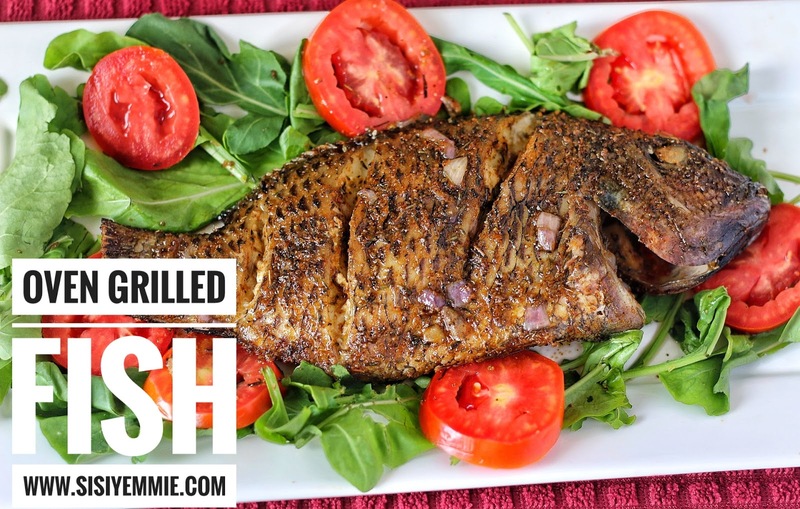 Within 30 minutes you can have this Grilled Tilapia Fish on your plate and ready to eat! SUBSCRIBE to my YOUTUBE channel by clicking HERE so that all my recipes come straight to your inbox. Rub in the marinade on the fish, also in the gut. Take out of the oven after 20 minutes. wow, it looks tasty. I'll give it a try. Thanks sisi Yemmie for this. I used this recipe on Easter Sunday, it was a win with everyone that ate it. They all wanted more. I used mackerel and red snapper fish. I enjoyed reading your comment and burst out laughing where you inserted some broken English, you are soooo funny, my Sister-In-Christ. Appreciate you keeping it real. God's blessings. I used Croaker to make this dish and my hubby was quite pleased! Will be making it again. Sisi Yemi, your blog /YouTube channel are such great resources for recipes. I run out of Ideas and can always get something different from visiting your channels. Thanks for putting so much effort into editing and explaining; it makes following your methods easy.